On his radio program Wednesday, January 28th, Glenn Beck and the other two stooges discussed the First Lady's lack of a head scarf when the President visited Saudi Arabia to pay respects to the new Saudi king. Below is a clip from The Blaze followed by a clip from MSNBC's Ronan Farrow Daily show. 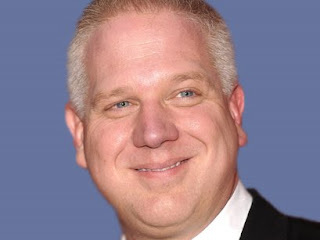 Listen to Mr. Beck and Farrow's guest, Linda Sarsour of the Arab American Association, and understand, yet again, why the subtitle of Beck's biography is suitably Glenn Beck and the Triumph of Ignorance. Beck has made a fortune spouting ignorant nonsense.